I’m so sorry I haven’t posted in ages but there’s a lot going on and the past two weeks were devoted to tests and assessments and it was studying & studying & studying every. single. day. Somew it’s November already. Is it just me or did OCTOBER PASS BY SO FAST? My birthday month is the shortest month of the year 🙄 But the good thing is that I did so many things in October and that is why I’m doing this roundup again; haven’t done one in a while. Firstly was my birthday…yay! Yep I’m eating cake in the second picture, ’cause why not? Another few days later I went shopping with one of my best friends – Yana – because that was one of her birthday gifts to me. It was amaaazing! What was the best part of your month? This is one of the most cliche posts and is long overdue. Buuut, in my defence, some people gave me my gifts this week because they didn’t deliver or for other personal reasons. JUST SAYING: I didn’t write this post to brag or show off, I just enjoy reading other people’s posts/watching videos about this as it gives me some great gift ideas! Also, it’s just really fun. Another thanks to everyone that wished me and gave me these gifts because I had an amazing 13th birthday! It was recently my birthday on the 5th (just about a few days ago) and obviously, I got quite a few presents since I had a party. I thought you guys might like to hear about it or get some ideas for a friend, cousin etc. Since I’ve got the best friends ever they knew just what to get me and I would give these a pretty high rating as a birthday gift because they just gave me this little rush inside when I unwrapped them on my birthday. First off is the Bilou Cotton Candy Body Lotion. Let me just start off by saying that this smells INCREDIBLE. 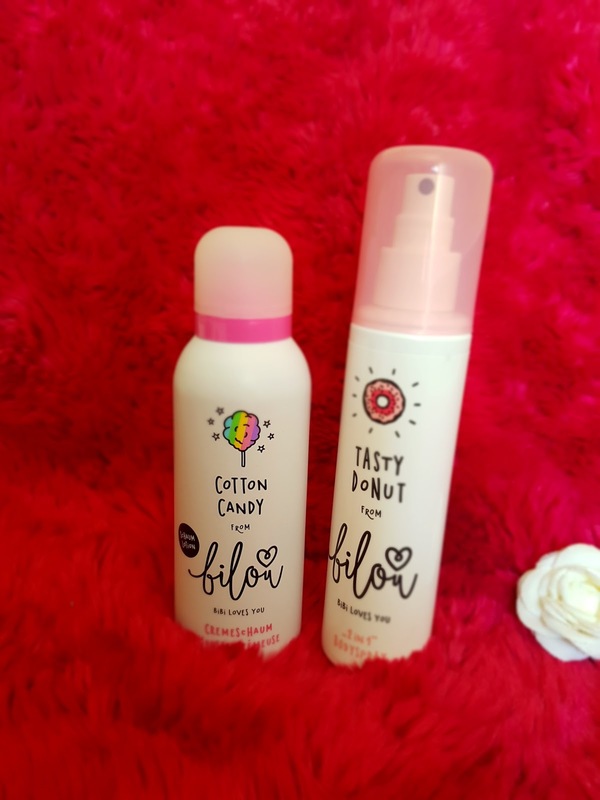 It smells as an exact likeness to real cotton candy (candy floss) and it feels so good on skin because it comes out as foam, you should definitely try this out if Bilou is available in your country. My friend lives in Switzerland and Bilou is a German brand so it was quite easy for her to get. The next thing is also from Bilou but this one is a body spray and it’s scented with a Tasty Donut. This one is also soooo good and I seriously love all of the Bilou scents (she even gave me one scented like Fizzy Berry sometime ago). I honestly feel like eating both of these things so I highly recommend these as presents for anyone. 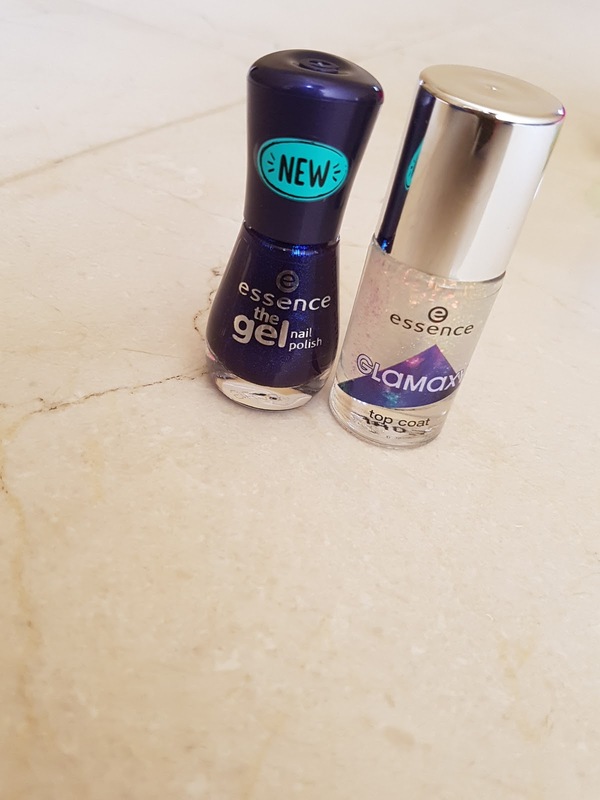 Now with the nail stuff… The first thing is the Essence ‘The Gel’ nail polish in this really nice blue. It looks so amazing because it is kind of like a blueish, purplish galaxy kind of colour, plus it’s metallic and shimmery. I mean, how many bonuses is that! It looks even more mesmerizing with the other nail polish that my friend gave me. The Essence (yes, again) Glamaxy Top Coat has these tiny little flakes of holographic foil and they slightly change the whole look of the nail polish because it looks super cool. 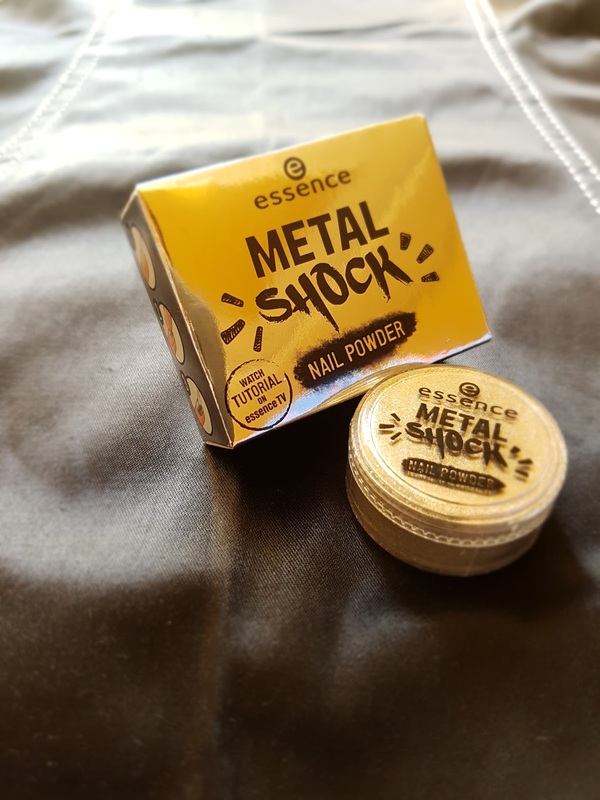 Last but not least, is the Essence (it’s a really good brand you know) Metal Shock Powder and I haven’t really tried it out yet but it is supposed to have this mirror effect when you put it on your nails. You can check google and I’m sure you’ll understand what I mean, but I am really excited to try it out. And now, the last thing out of all the beauty stuff is…. 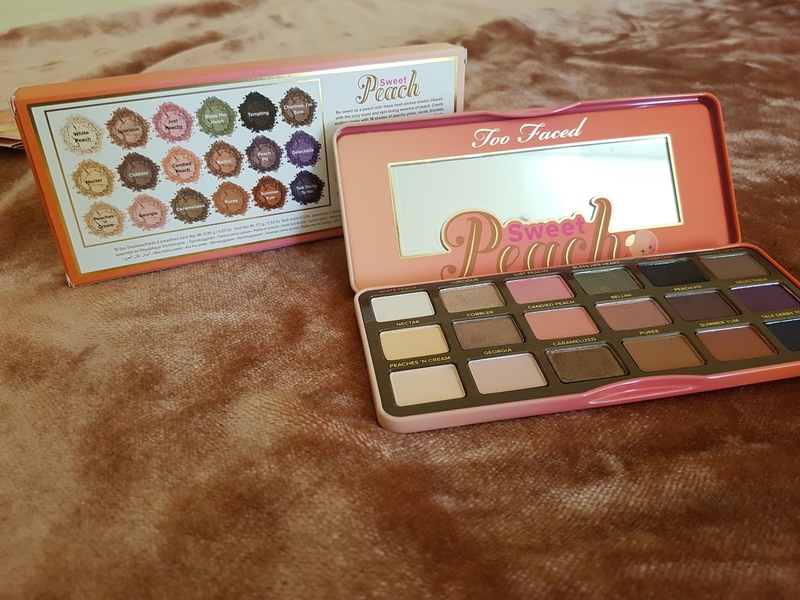 The Too Faced Sweet Peach Eyeshadow Palette!!! This one was such a surprise because it’s so so so amazing (you should probably know that already). Everyone knows that this is supposed to be peach scented and then you’re all like “Oh yeah it probably smells pretty good”, but you don’t know the real beauty of it until you smell it and you’re like: “Oh my gosh this is the most heavenly scent I have ever smelt and I could sniff it all day”. 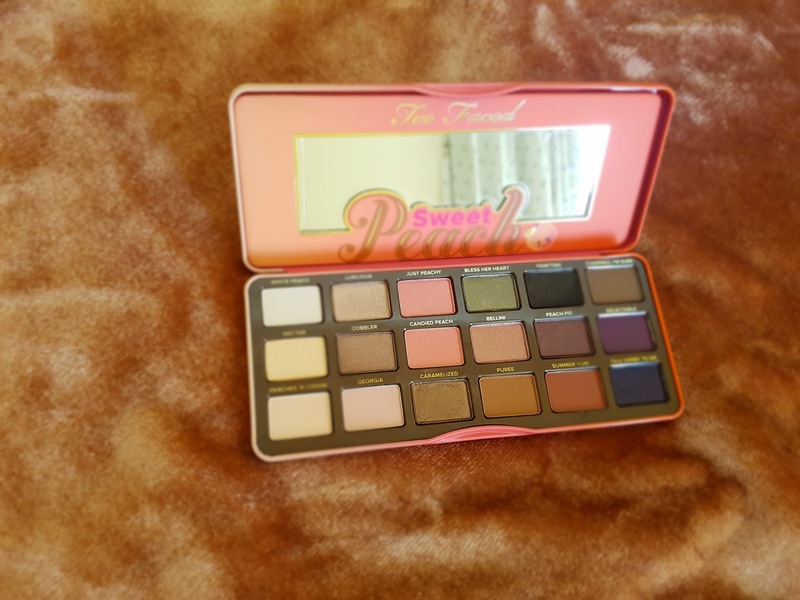 It smells like peach candy, yum! 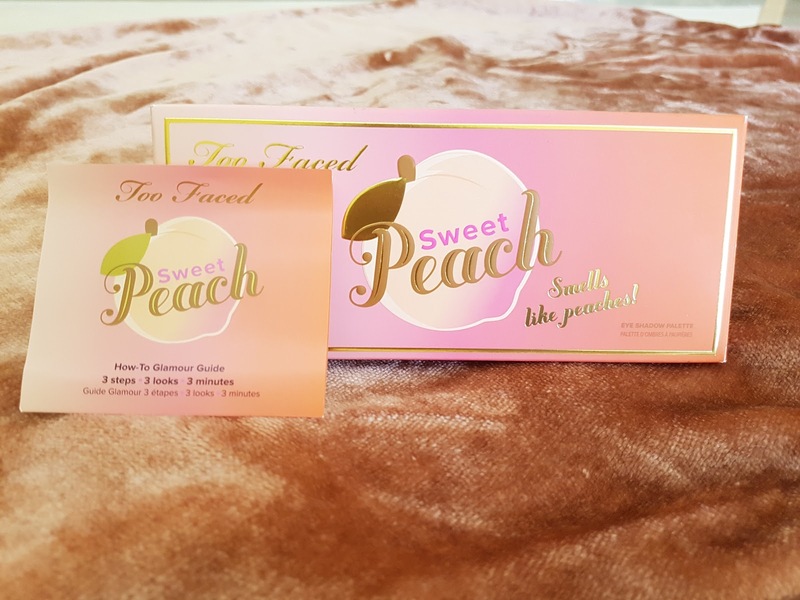 As for the colours, these are the most gorgeous peachy and gold colours EVER, and I definitely think these are worth it, but still very expensive.